If you live in West Michigan, you already know that due to our variable weather conditions, good tires are not just beneficial, they are critical. In adverse weather conditions you need tires that you can trust to respond instantly in emergency situations. The condition of your tires also determine your ability to maintain control maximum control of your vehicle whether driving at high speeds on dry roads or stopping instantaneously when they’re covered in snow and ice. Having good tires on your car or truck also contributes to better fuel economy and increased overall vehicle performance. Do you need just one tire, not a whole set? Do you need a whole set, but the necessary money isn’t in your budget? Are you getting ready to trade in or sell your car, but it should have replacement tires first? These are just some of the reasons you might want to consider buying used tires rather than new. In order to ensure that all of used tires we sell are reliable, they all are closely inspected and tested before entering our inventory. We guarantee that our tires are safe and ready to be installed before we sell them to you. running again with a quality tires as soon as possible. In a dark place away from direct sunlight. Check your wheel and tire balancing. 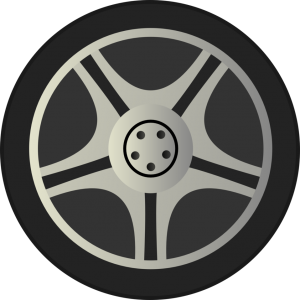 Your spare tire is always properly inflated and ready to be used. You have the right tire size for the weight of your vehicle. Check your tire inflation pressure at least once a month. Follow an appropriate tire rotation schedule. Balance your tires as needed. Examine for any abnormal wear or damage.